Oh wait that was just a dream I had tonight when I fell asleep putting her to bed! Long day must have been tired! Now you all can kinda understand what it feels like to wake up and wish you where still asleep!!!! That was my dream! She was so cute! I don't dream much but when I do usally it is good!!! Sorry I didn't mean to get your hopes up! I am sitting here just thinking about when that day comes and how proud I will be!!! God can do it! God knows the plan and I hope this was just a window into what is in store for Makenzie!!!!! Thank You all for your prayers! God is good and answered all of our prayers! God is so good and continues to show His hand in this families life!!!!! I am not going to go into detail as it is really not public information but thank you so much for all of the prayers! They mean a lot!!!! Makenzie continues to do well. She has had a bit of a cold but it seems to be much better! Yeah!!!! It never did turn into anything big and bad! Another answered prayer!!! Thank You Jesus! We started her on a new drug for tone reduction and I haven't really seen anything good or bad. We started out on a very low dose so hopefully as we raise it we will see reduced tone without all of the nasty side effects it could have. The only thing I have seen is reduced eye contact. 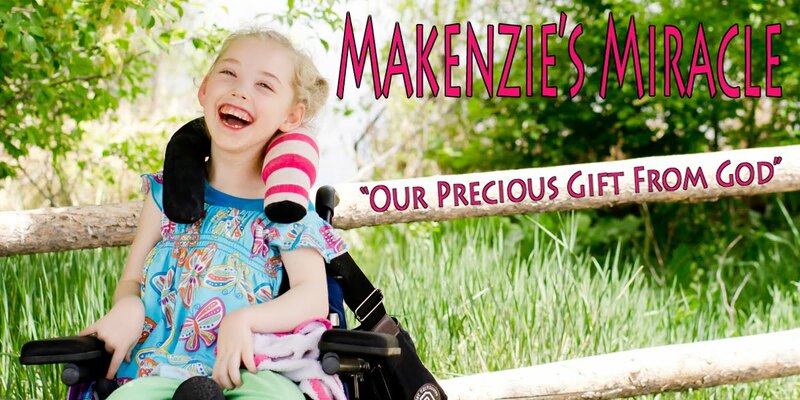 Now that could be from Makenzie not feeling the best, from the sensory learning, or the new drug. She is still tracking. Please pray for this to improve and not be from the drug! I am very anti medication and this is the first one that I have tried since taking her off of all medications 3 months after her injury! Please pray that Makenzie can benefit from this without the side effects that would cause me to have to take her off of it! It would be great if this could help her! Other then that life is moving right along. Once again, thank you for all of your prayers and support! Keep praying and God bless!!!! !